Wash cucumbers; cut in half lengthwise. Combine salt, vinegar and water; heat to boiling. 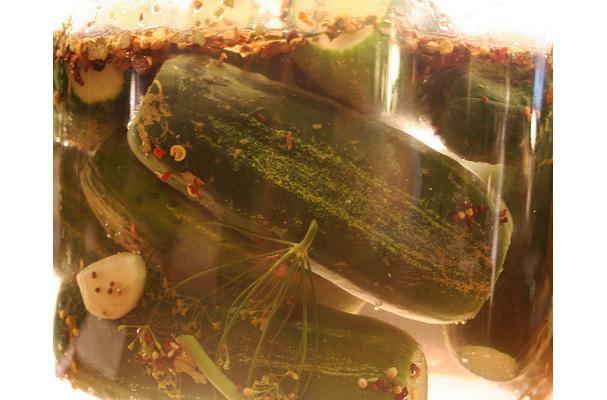 Pack cucumbers into clean jars. Add 2 sprigs dill weed and 4 peppercorns to each jar. Pour vinegar solution over cucumbers to within 1/2 inch of top. Immediately adjust covers as jar manufacturer directs. Process 10 minutes in boiling-water bath.